Here are four more completed Dear Jane blocks. 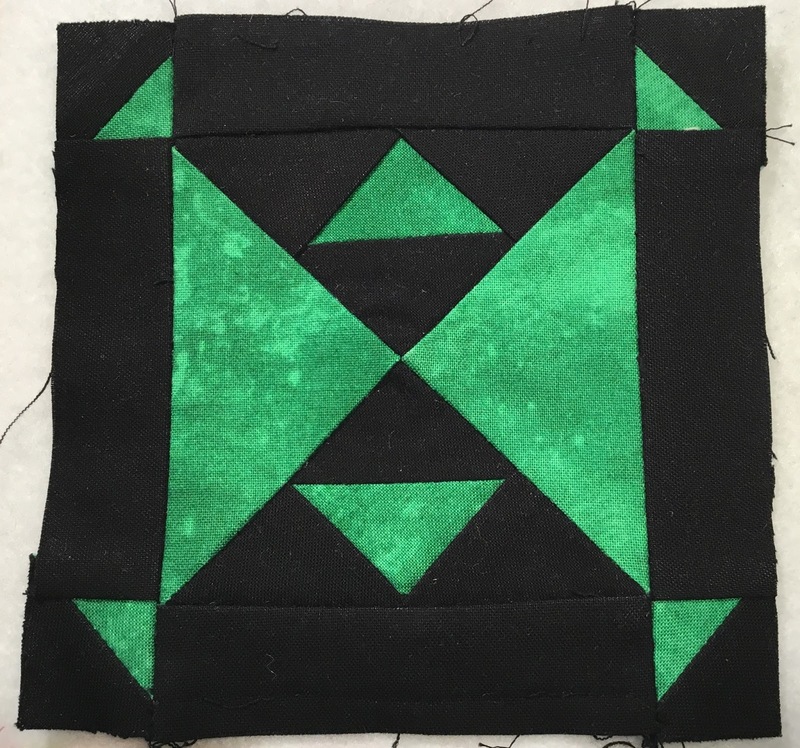 Block H5 should have been completed quite easily but I was having trouble with the size of the medium green triangles within the black triangles. I finally figured out the sides of the triangle hadn't been drafted at 90 degrees which was throwing off my calculations. Once I realised this I remade it using 90 degree math and was happy with the result. And here is a close up of H5. Next up is F5. I made this much harder than it had to be simply because I was trying to "cathedral window" the little orange peels instead of having to applique them on. 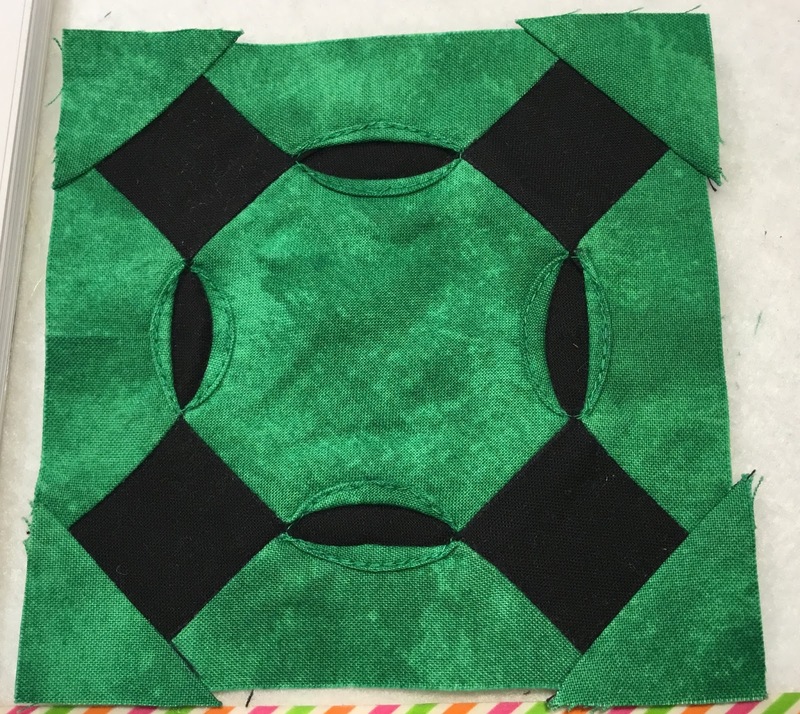 It turned out well in the end, but if I were to make it again, I would make sure that the outside green fabrics were cut so the bias of the pieces were along the orange peels and I then could have pulled the curves a little bigger. I am happy enough, so I am not going to do it over! And here's a close up of F5. Then I started work on G5. It was really quite a simply made background and then an applique shape stitched down on top of it. 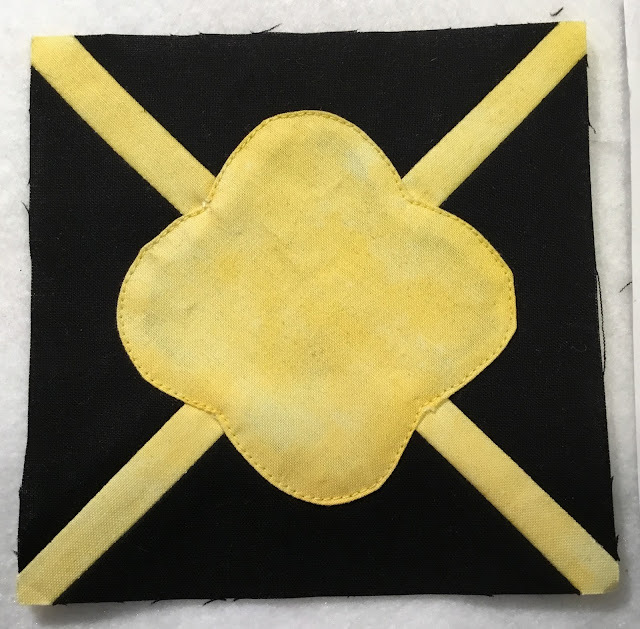 Since you could see the background cross shape through the flower, I cut out that layer after the applique was sewn down. And a close up of G5. The first blue block was E5. I wasn't totally happy with the way this block was drafted with the wedges drawn from the quarter, half and three-quarter measurements along each side of the block making the corner wedges narrower than the centre wedges. I made each wedge 22.5 degrees (half of 45 degrees). And here is E5's closeup. 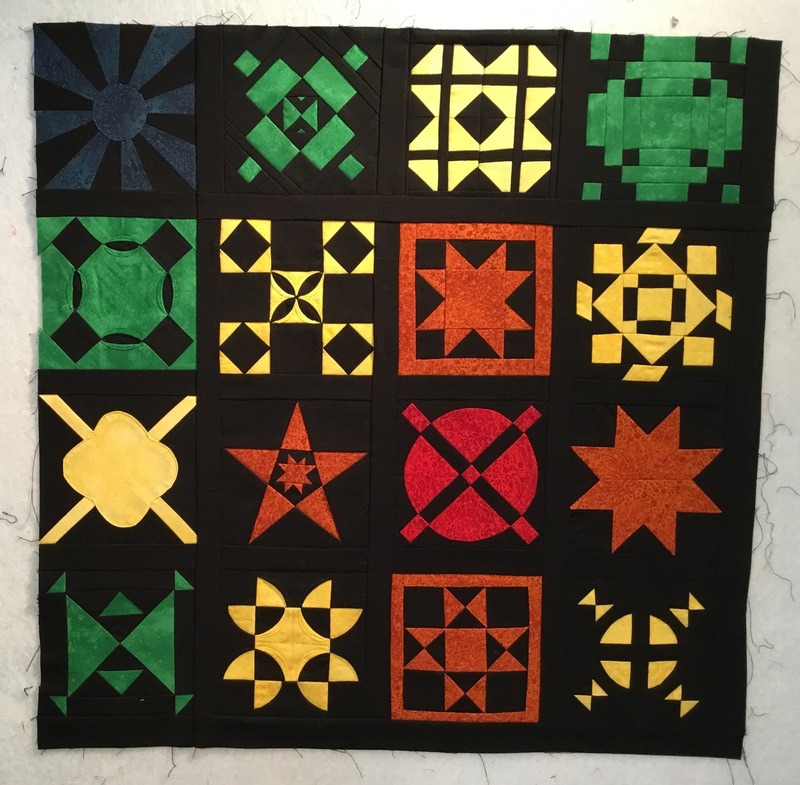 And here is a shot of my 16 completed blocks together. 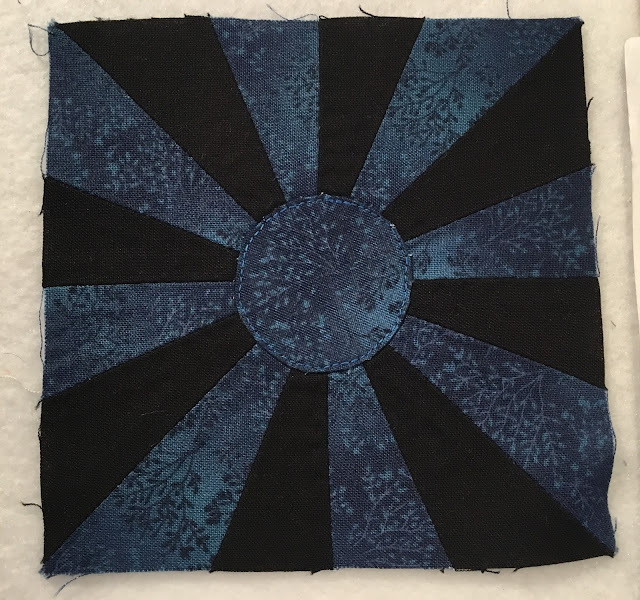 I hope to get another four more blocks made before our group meets again on Thursday. Wish me luck! good luck - I remember doing Dear Jane - twice and it was fun but I was glad to see the end of the second one I remember - I tell myself never again! Well, doing two was quite an accomplishment! And both by hand..... 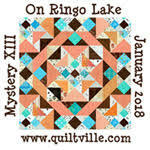 Both your Dear Jane quilts are wonderful, but I especially love your red and white one.